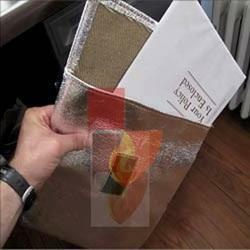 Smart Shield’s Fireproof Document Bag provides protection to items of great personal importance such as heirlooms and vital documents that we wish to protect from the devastating effects of fire. Fire Proof Fabric Bellows face contaminants ranging, the Smart Shield’s Fire Proof Fabric Bellows cover protects your constantly exposed hydraulic equipment from damage caused from dust, abrasive grit to metal chips and weld spatter entering the hydraulic system.This easy to install protective bellow cover opens and closes like an accordion as the cylinders work, keeping the hydraulic system clean from debris and extending the life of your cylinders up to 3 times.The main advantages of our covers in your machinery include their flexibility (they are made to your own individual requirements in order to fit your mechanisms perfectly) and their cost-effectiveness A variety of designs are available in any quantity with little or no tooling charge. This lets you optimize the type of protection for your application, rather than making do with off-the-shelf components. Available in multiple heat and chemical resistant materials, this protective device is being utilized today in many of the toughest industrial and construction environments including, quarries, mining, steel mills, demolition, and ready mix concrete facilities This smart-shield’s Fire Proof Bellow is reducing hydraulics maintenance costs and saving money for companies throughout the world. 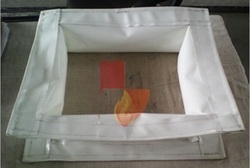 Looking for Fireproof Document Bag ?